We are going to build an interactive tile navigation menu that you can include in any form. It will have some tiles that when clicked will take the user to another form. The tiles will have two sizes and the user will be able to change the background color of the control. 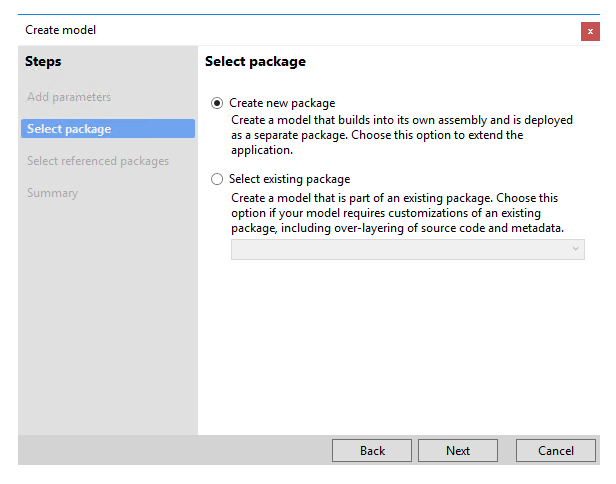 This tutorial does not include data binding and will not involve the build class. How to use properties and the observable pattern. A user selects a color from a drop-down and changes the background color for the control. How to use a method to load data into the control using JSON. Tile information such as position, size, caption and display menu item are loaded from X++ during run time. An X++ build class. Which houses the control's design time properties menu. We won't go into this class in this tutorial. A CSS resource file. Optional. 1. 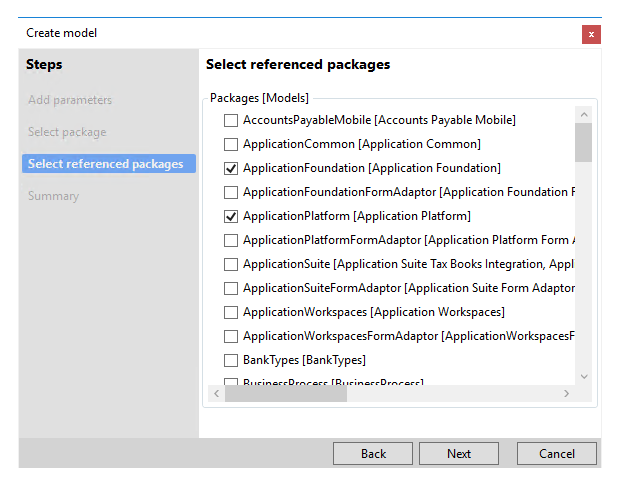 Create a new model called NavMenu in a new package and make it reference Application Foundation and Application Platform. 2. Create a new operations project. Call this new project "NavigationMenu". 3. Change the project's model to NavMenu. Right click on the project in solution explorer and click properties. 4. Right click on your computer's desktop then "New -> Text Document" three times. 6. Create a resource called NAMNavigationMenuCtrlHTM and select the NAMNavigationMenuCtrl.htm file from the desktop into it. 7. Create a resource called NAMNavigationMenuCtrlJS and select the NAMNavigationMenuCtrl.js file from the desktop into it. 8. Create a resource called NAMNavigationMenuCtrlCSS and select the NAMNavigationMenuCtrl.css file from the desktop into it. 9. Create a class called NAMNavigationMenuCtrl. 10. Create a class called NAMNavigationMenuCtrlBuild. 16. We will add styles to the NAMNavigationMenuCtrl.css file later. 18. 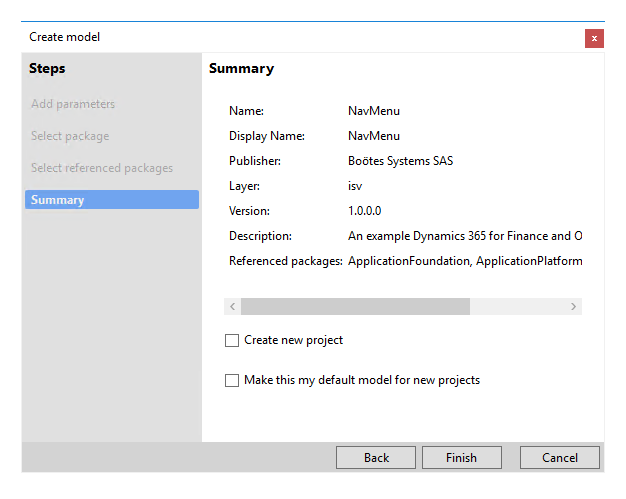 Create a model called NavMenuTest in a new package and make it reference the Application Platform, Application Suite and NavMenu models. 19. 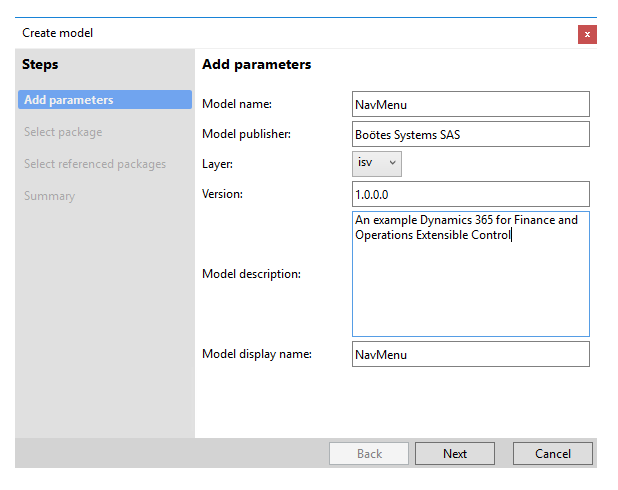 Create a new project in the same solution called NavigationMenuTest, right click on this project select properties and change the model to NavMenuTest. 20. 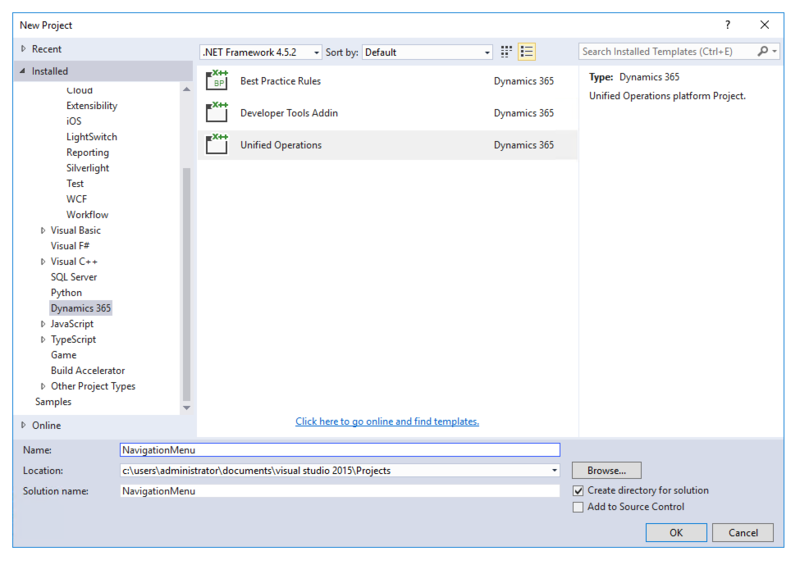 Add a new form to the NavigationMenuTest project and call it NATForm1. 21. Make NavigationMenuTest the startup project and NATForm1 the startup object. 22. Open the NATForm1 form, right click on design and select the NAMNavigationMenuCtrl. 23. Start debugging. You should see the caption of the Form "NATForm1" with the control underneath "This is the NAMNavigationMenuCtrl". The caption for the control comes from the htm file. 7. In the NATForm1 form set the NAMNavigationMenuCtrl1 to Auto Declaration = yes. 8. Create a button control in NATForm1 and set the text to "Click Me". And that finally takes us to the getter/setter and why we're using utcdatetime. This is not the intended use of observable properties. But they are useful when we want to trigger an event from X++. We will now go into the original intended usage of observable properties. In NATForm1 we want to have a FormMenuButtonControl to allow the user to change the background color of the navigation menu control. 10. For the Menu Button control set the text property to "Background color". 11. For the Button controls set the Text property to "Gray", "Light blue", "Blue" and "Black" beginning from the top and going downwards. 13. Press F5 or Debug -> Start Debugging and using the "Background color" menu change the background color of the control. Properties can be used to pass scalar variables of data between X++ and the control. But what if you need an array or a matrix (table)? In the Navigation Menu Control the requirement is that for each tile the X & Y position, the size, the caption, the display menu item be stored in a table and then passed at runtime. For the purposes of this tutorial we won't actually use a table, but we will pretend that the data came from a table. 4. Modify the init method of the NATForm1 form. Data is hard coded but it could be modified to load from a table. The final part of this tutorial will show you how to invoke actions in X++ code triggered by user actions in the control. In the Navigation Menu control whenever a user clicks on a tile the form that the tile represents will open. 5. Press F5 or Debug -> Start Debugging, click on any tile and the associated form will be opened.